Description This cute puppy needs some help from you and your friends. He's got a huge wardrobe with lots of clothes, shoes and accessories to choose from and he haven't figure out which ones fits him best. 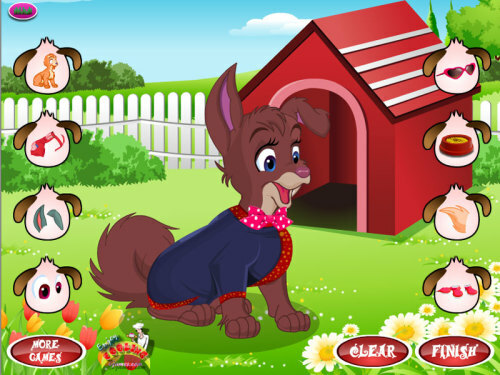 Change the color of his fur, mix some of his costumes until you get our little puppy to look beautiful. Have fun!